Readers Union, 1978, Hardback in Dust Wrapper. Condition: Very Good — in Very Good Dust Wrapper. Unlaminated dust wrapper a little edgeworn and faded with some soiling to the lower panel. Pages very gently age-tanned. Illustrated with black and white photographs. From the cover: “One of the world’s outstanding batsmen — certainly the greatest South Africa has produced — describes his early years in Durban, the experiences and family background which formed him as a man and a player, and his dazzling and sometimes turbulent career since he first made his mark as a schoolboy, captaining the first ever South African Schoolboys’ XI to tour England in 1963. 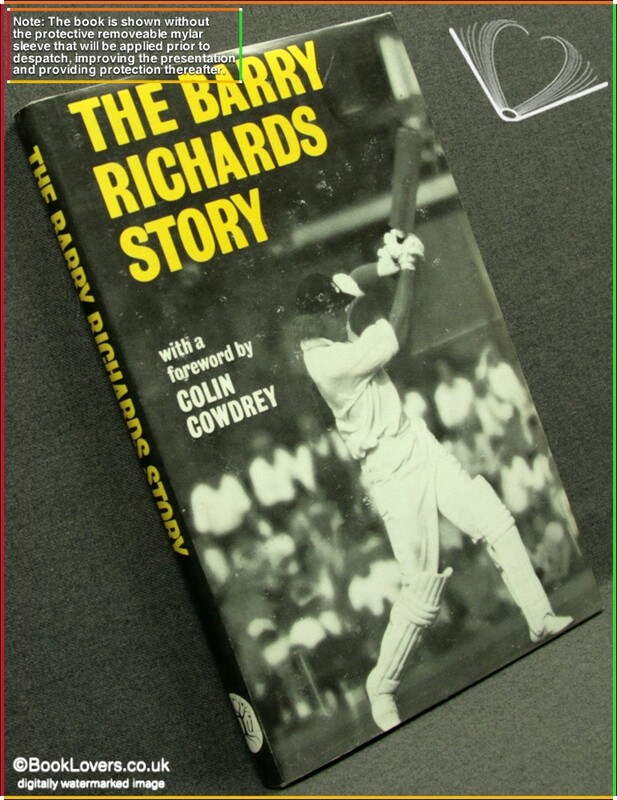 He and his vice-captain Mike Procter subsequently made an impact on English county cricket, and Barry Richards gives an account of his career with Hampshire both on and off the field, with forthright views on the county game. He is equally forthright about the structure of his homeland, for which he played in one outstandingly successful Test series before South Africa was banned from international cricket — on which he also has clear-cut opinions. 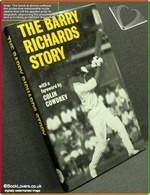 Though clearly of outstanding natural ability, Richards is far from being a purely instinctive player, and some of the most interesting passages in his book concern the strategy and tactics of the game, the varying attitudes to it from country to country, including absorbing accounts of many memorable games — not least that in which he scored 356 at Perth. Foreword or introduction by Colin Cowdrey. Size: 8¾" x 5½". Grey boards with Gilt titling to the Spine. 180 pages.